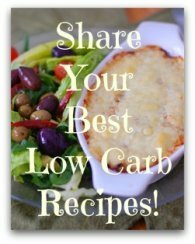 A cabbage casserole recipe that's low carb and ketogenic. Yum! Here's an easy cabbage casserole recipe that's sure to please. It's very low carb and ketogenic. And it's wickedly delicious! I seem to be on a cabbage kick these days. It's such an economical vegetable all year round. This recipe only calls for a 1/4 of a large head. If you're feeding a crowd you could easily double this recipe. 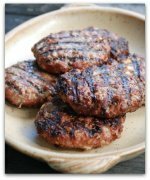 I served it as a side dish to accompany delicious garlic and herb pork sausages. It was all very satisfying! 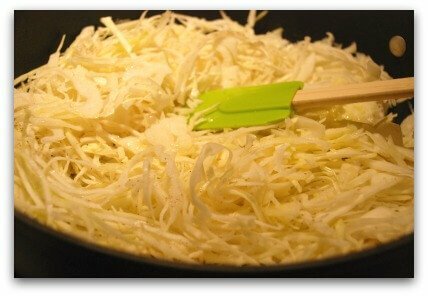 Use a mandoline to finely shred the cabbage. Or slice thinly by hand or in a food processor. Finely shred cabbage and cook over low heat for 30 minutes. Melt butter over low heat. Add the cabbage. 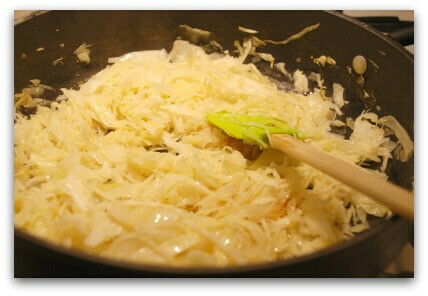 Stir to coat the cabbage with the melted butter. 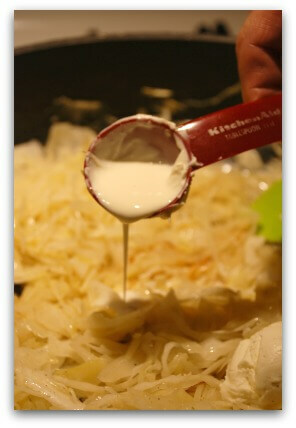 Cook over low heat, uncovered and stirring often to prevent the cabbage from browning. 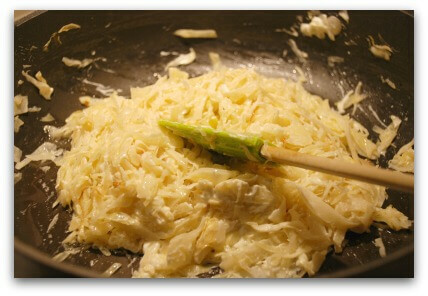 Cook the cabbage until very tender, about 30-40 minutes. The cabbage should wilt down by about half its original volume. Stir in the cream cheese. Stir in the heavy whipping cream. 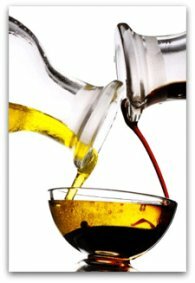 I just love this high fat low carb (HFLC) way of eating. Everything is so flavorful and satisfying! Turn off the stove. 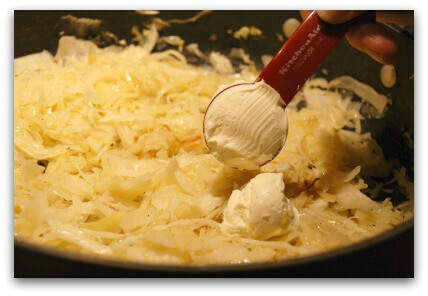 Combine everything until the cream cheese and whipping cream stick to the cabbage. Transfer to a baking dish and top evenly with the grated cheddar. Bake for about 30 minutes. 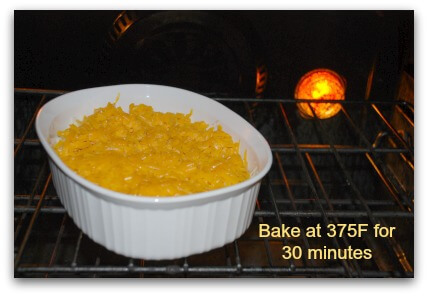 To brown and crisp up the cheese, place the dish under the broiler and watch carefully. When the cheese begins to bubble and brown it's ready. Let the dish cool about 5 to 10 minutes before serving. This recipe is very creamy and cheesy and definitely filling. It's got loads of healthy fiber too. Leftovers reheat really well. I actually had leftovers for breakfast and that will keep me going until dinner tonight! If you wanted to you could add hot pepper flakes and bacon bits too! 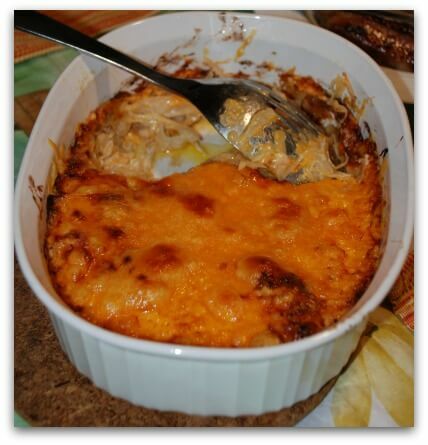 OK, let's go from this cabbage casserole recipe back to the HOME page.